It is the season of Santa Claus and Christmas presents, but along with all these wonderful things, it is also a month to attend so many weddings. People love to get married in this month because of multiple reasons: one of them is of course, the fact that everyone can easily attend your big day due to holidays. DC is a wonderful city to fulfill the plans of your dream wedding because of the endless opportunities this “always-happening” city has to offer. Here you have plenty of options to choose from, plenty of wedding organizing experts, bars, pubs, clubs for bachelorette parties, and breathtaking locations to finally take the oath and tying the knot. All these places will be accessible to you with the help of our DC limo service, which is prompt, on-time, and budget friendly, even in a city like DC. 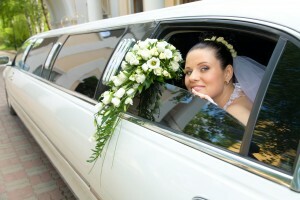 Why Our DC Wedding Limo Service Company? Since DC is always hustling and bustling with the newcomers, it is easier to find transportation but hard to find one you can trust. A lot of people fall in the traps of fraudulent firms that promise to offer so much but provide nothing at all, rather they take all of your money. To avoid such mishaps, an organization that is actually authentic and known is the right answer to your problems. Wedding is a big responsibility and its transportation is even more imperative, because a) nobody wants to get lost in the new city, b) nobody wants their guests to stray before actually getting on to the location, and c) the bride cannot afford to reach late to her alter. We value all these details, which is why our wedding limo service DC contains high-end vehicles with highly professional chauffeurs, who are aware of every nook and cranny of this metropolis. Therefore, even at the time of severe traffic jam, we will be able to take you to your destination effectively on time. Every three months we have new packages and discount offers for our precious bride and groom, so they can save money on their transportation expenses. We know how much a wedding cost and a price of DC Wedding Transportation will be a tough challenge for them. Therefore, if you are looking for a high-quality service where you can save money, you have come to the right place. 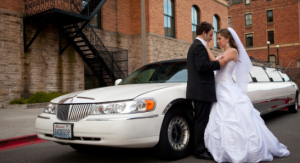 Moreover, we have amazing deals related to our DC wedding limo service. You can choose from a variety of vehicles, it does not really necessary that you should go for a limo. But if you want your wedding to be luxurious with posh interior vehicle that has all the facilities to make you feel at home then a limousine is a best fit for you. We have a brilliant four hours’ package for bride and groom that is cost effective, in which both of them will come on separate limousines to their wedding alter.